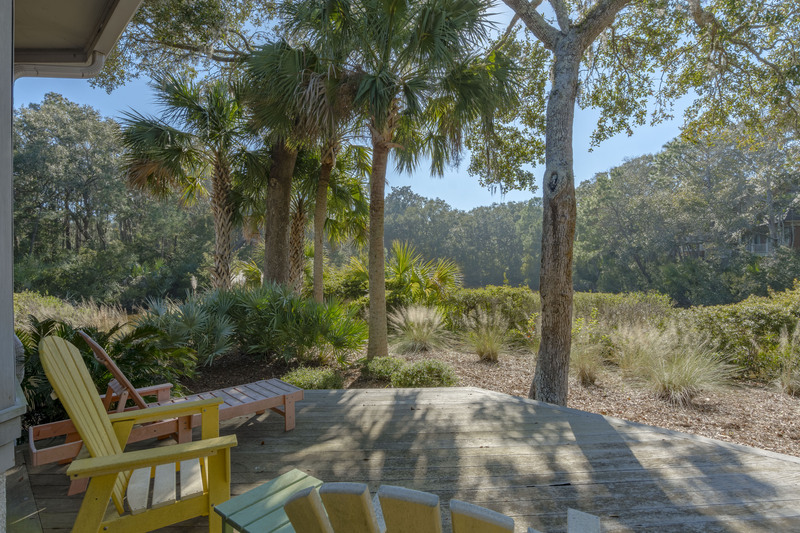 This West Beach vacation rental, located at 365 Red Bay Road, has 4 bedrooms, sweeping lagoon views, a screened porch and deck with space for the whole family, all within a 4-minute walk to the Kiawah Island sand. 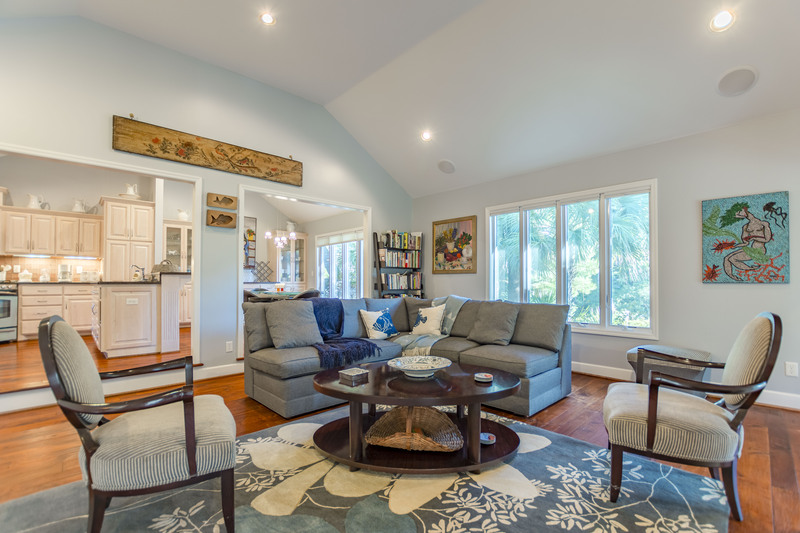 Throughout the charming, one-level home there are beautiful hardwood floors and plenty of windows that provide natural light, as well as great lagoon views. The charismatic living area offers a flatscreen TV located in the built-in cabinets, a comfortable L shaped sofa and 2 chairs. 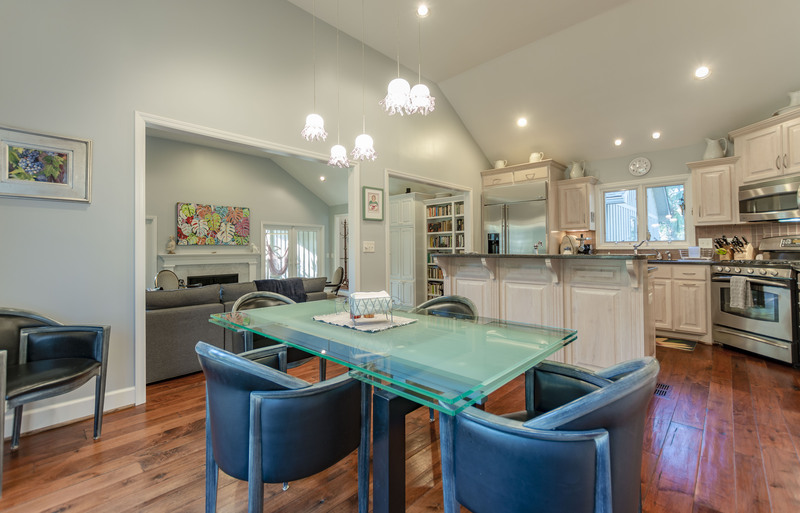 With an open concept the kitchen and dining areas are very inviting. 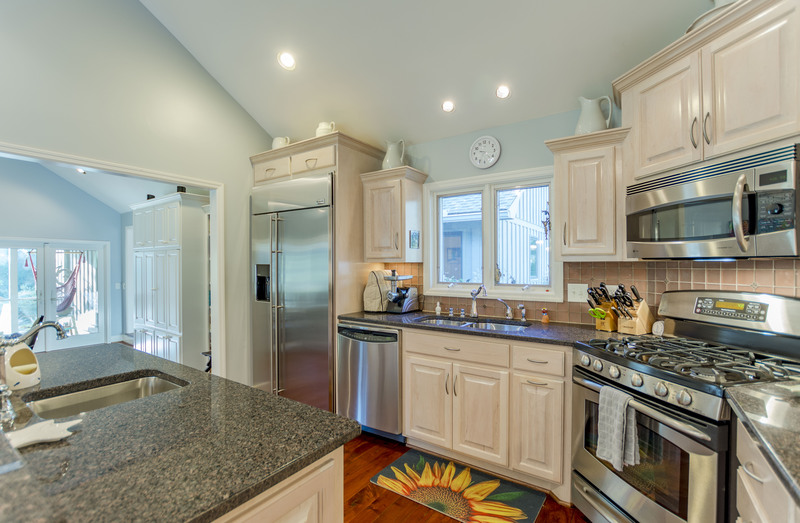 The fully-equipped kitchen offers everything you would need to make a meal while on vacation and features stainless steel appliances, 2 sinks, plenty of cabinet space, a large kitchen island and a dining room table to enjoy a meal at. 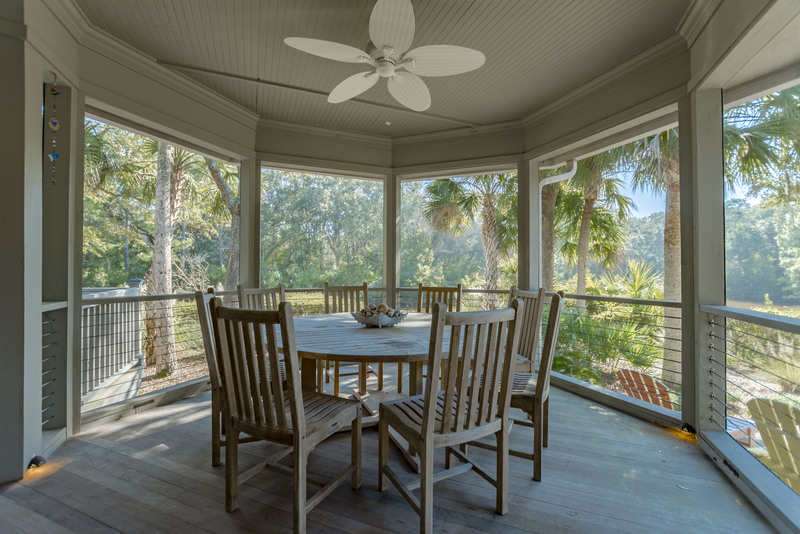 The large screened porch, accessible from the living room, offers 2 glider chairs and a circular table that seats 8. 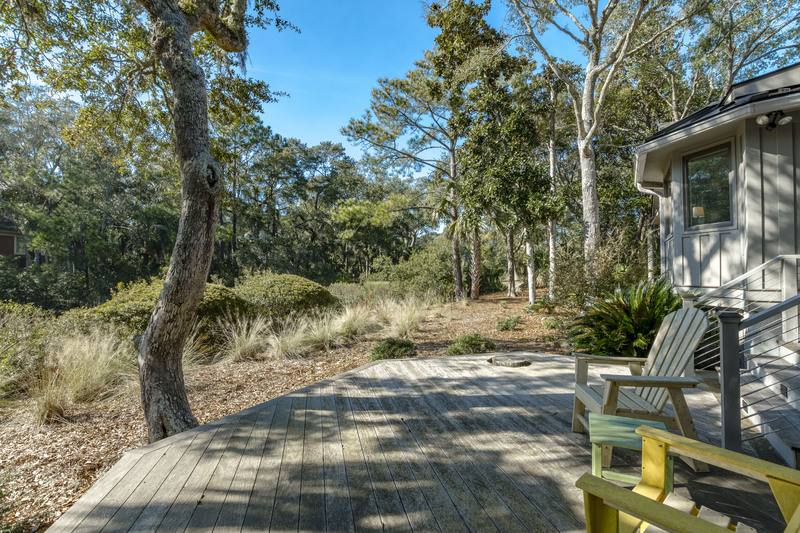 The main deck has Adirondack chairs and a smaller side deck offers a gas grill. 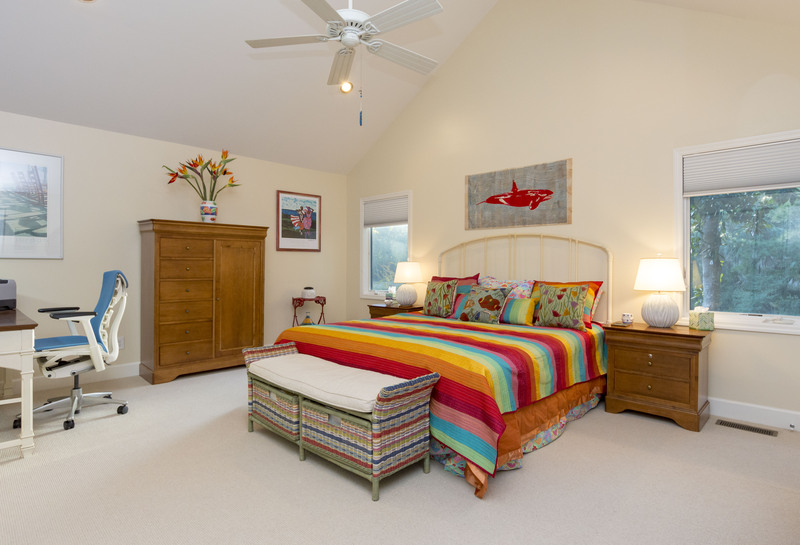 The colorful master bedroom features a king-sized bed, desk and a private en suite bathroom with dual sinks, soaking tub and tiled glass enclosed shower with bench. 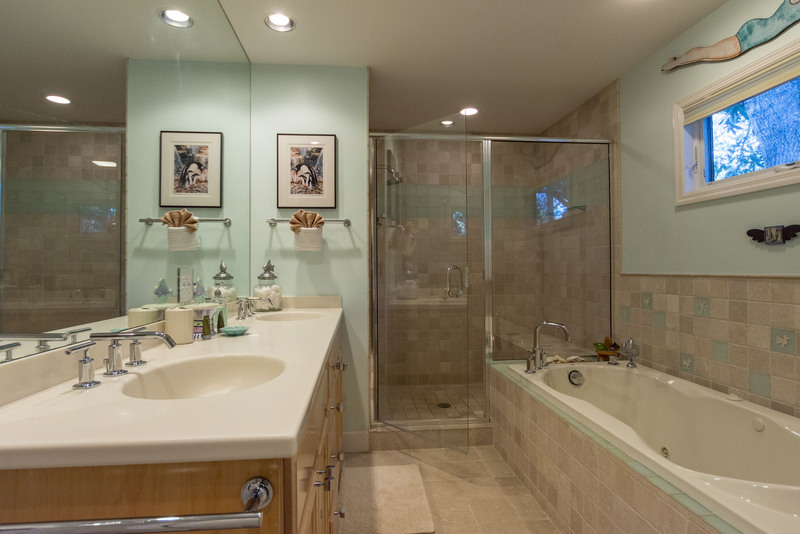 Two other bedrooms with queen beds are close to a hall bathroom with a glass enclosed shower/tub combo. 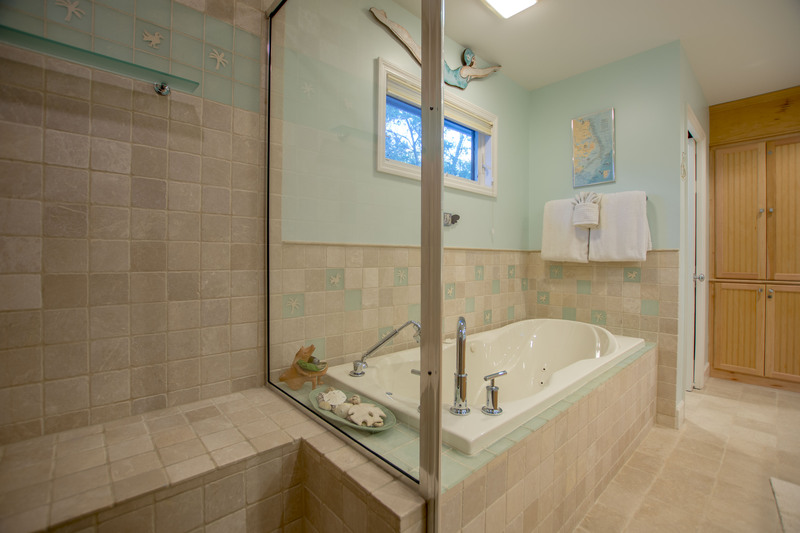 The last bedroom features 2 twin beds and is nearby the second hall bathroom with a tiled, glass enclosed shower. 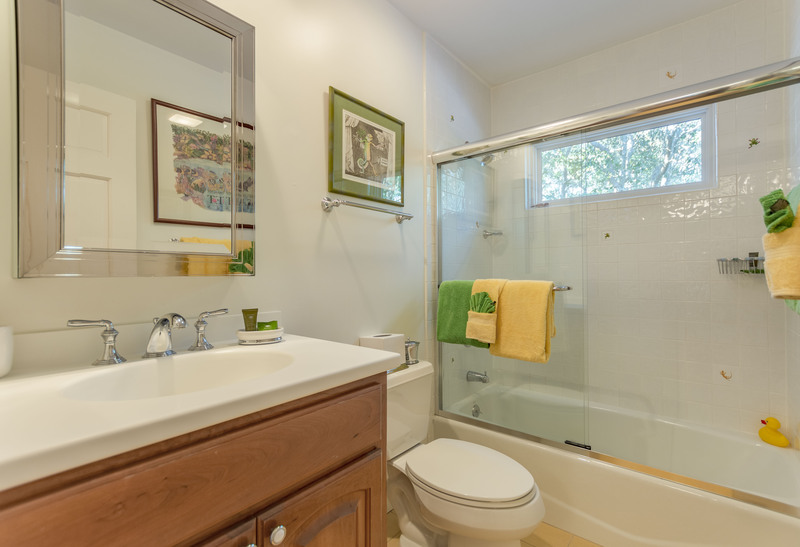 The home is equipped with washer, dryer and high speed wireless internet. We loved this house. 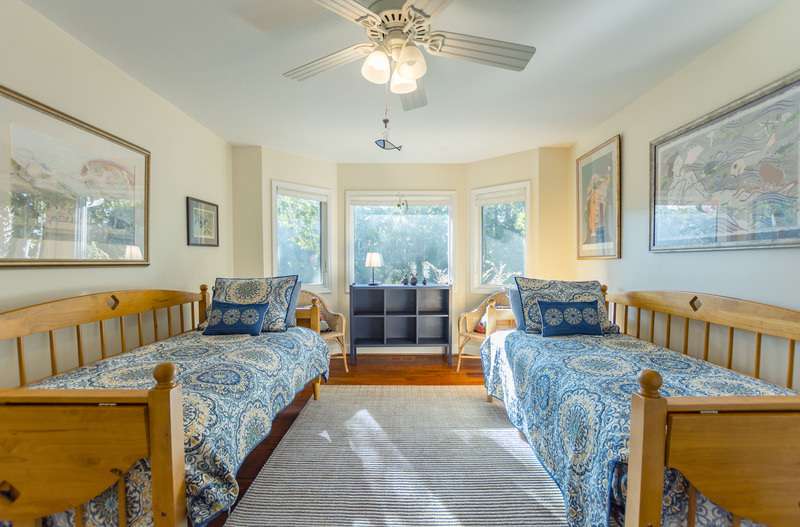 The bedrooms were very quiet, and the beds were comfortable. The kitchen had everything needed to cook at home. There were tons of dishes and glasses, so you do not need to use paper products. We enjoyed the porch and the large table out there. Everything was clean and neat. 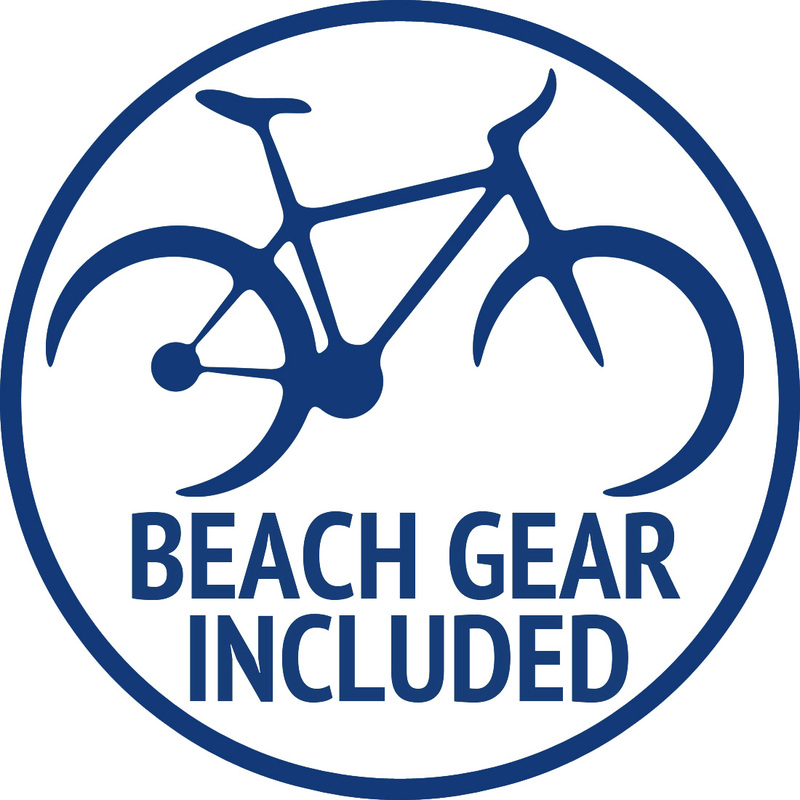 The beach is a quick 1 - 2 minute bike ride and a 5 minute walk. We would definitely stay here again. Hi Mike, Thank you for your review. We are pleased you enjoyed your stay! 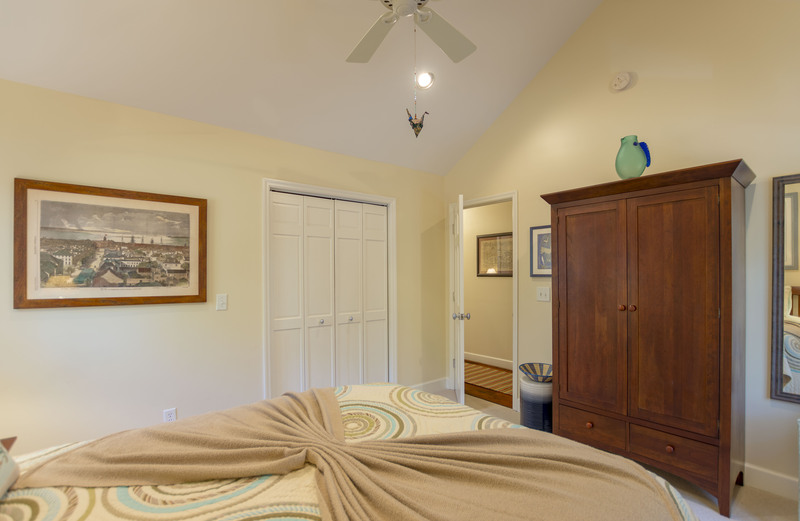 We will definitely pass along your message about the TVs and master bedroom mattress to the owners. We will point out that mattresses are very subjective and we haven't heard any negative feedback in the past about it but we will keep it in mind. We appreciate you taking the time to provide us with feedback! The pictures don't do justice to this property. It was beautiful, was a short 5 minute walk to the beach, and was so well equipped! 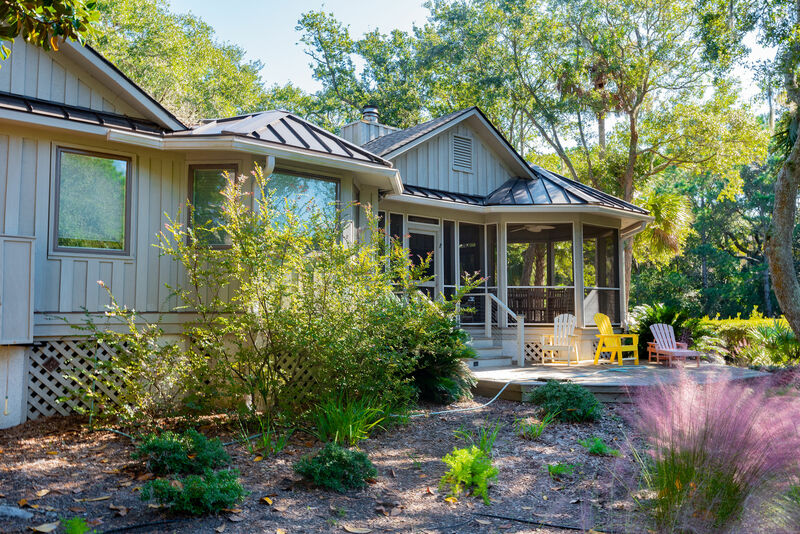 We've rented other places several times before and none were as nice as this 's located at the end of a cul-de-sac with lots of privacy and great lagoon views. We would definitely try to rent this property again. We needed a place for eight to stay Thursday through Sunday and wanted a place for just my husband and me to have a few days to ourselves before the rest of the family joined us. Red Bay is bright, tranquil, and beautiful. 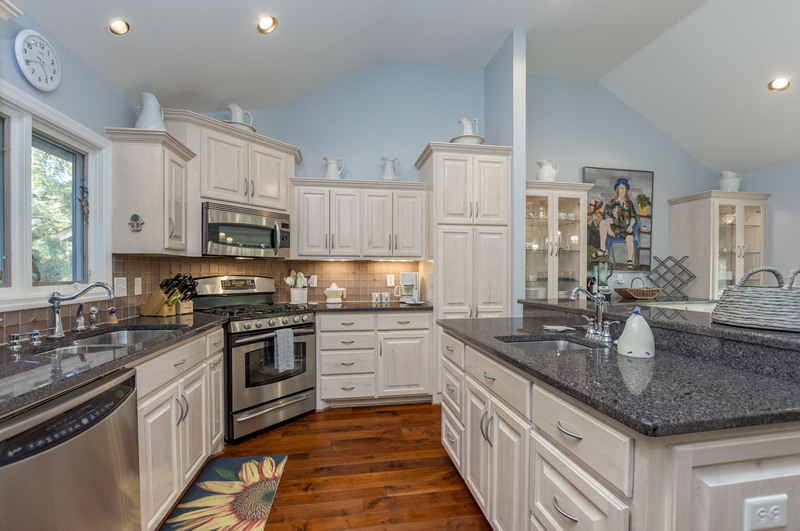 The kitchen had everything we needed and more. There were ample dishes, utensils, glassware, and cookware. 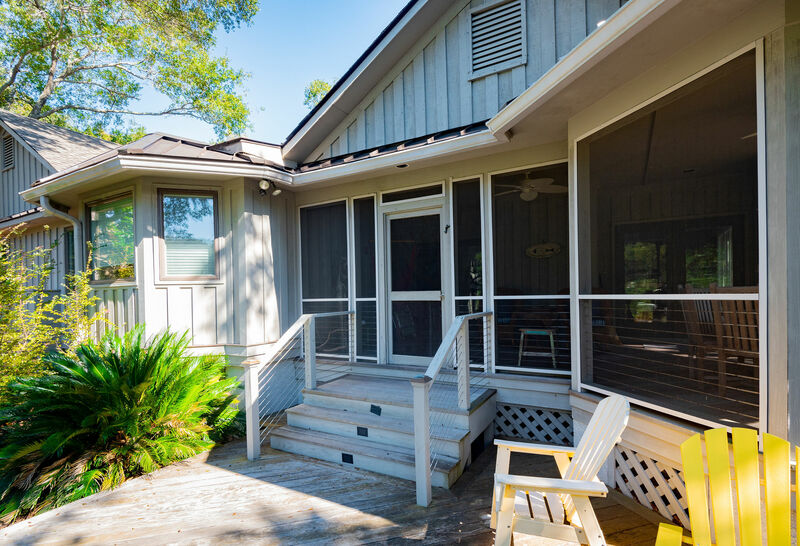 We used the screened in porch/deck nightly where we could hear the ocean waves and wildlife. We also used the open deck to enjoy the afternoon sun. The house was clean and spacious for our size group. The distance to the beach was 600 steps, according to my Fitbit, or less than a five minute walk. The house had beach chairs and beach towels for our use. The full size washer and dryer was convenient. There was even a baby pack in play. We marveled at the artwork and décor. 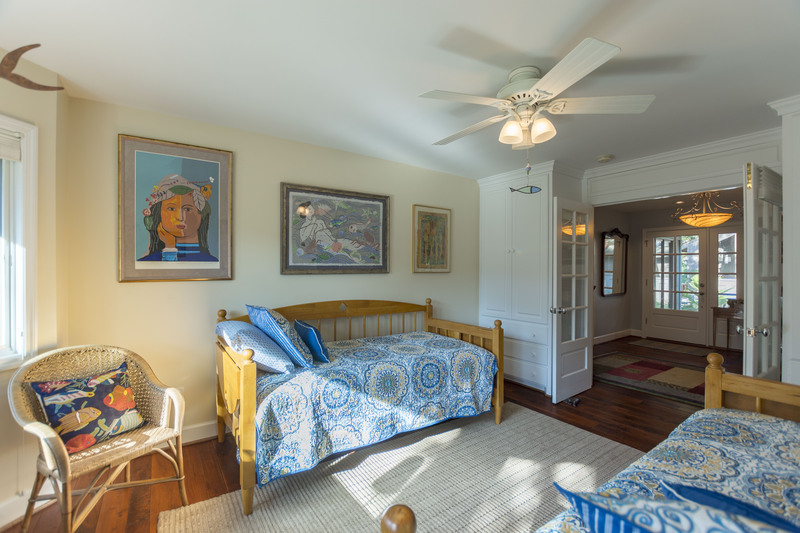 Every time we would walk in a room we would see a new piece we hadn't noticed before, but it wasn't over done. We appreciated the alligator fence around the pond side of the yard. If we had time there were book cases of full of books we could have chosen from. We would definitely be glad to stay at this house again. 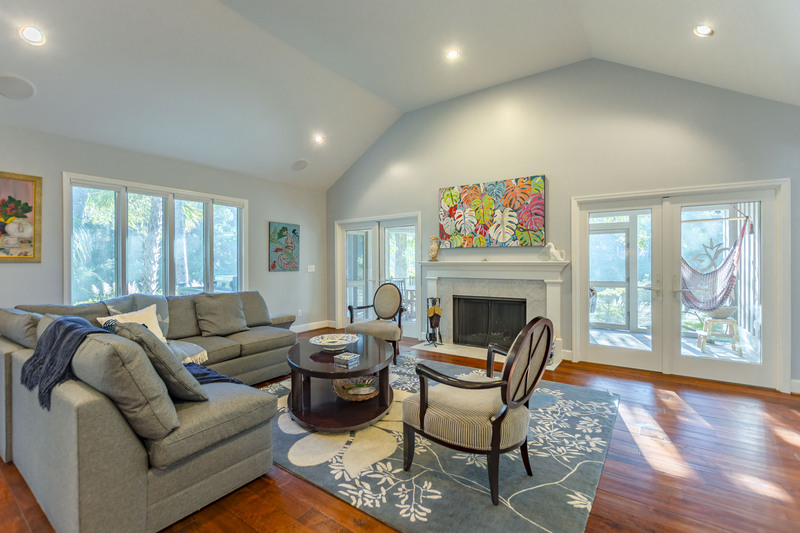 This beautifully appointed home was the perfect place to gather our military sons and their wives for Memorial Day weekend. 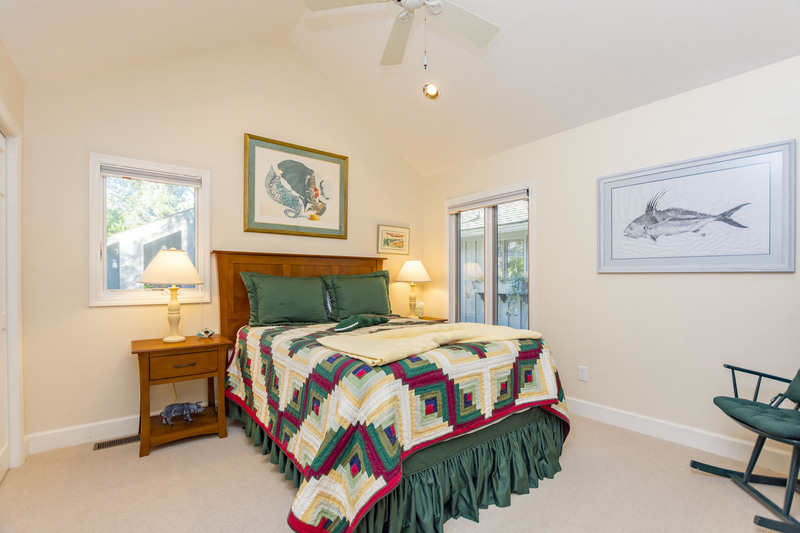 The house is tucked away in a quiet cul de sac just minutes to the beach. 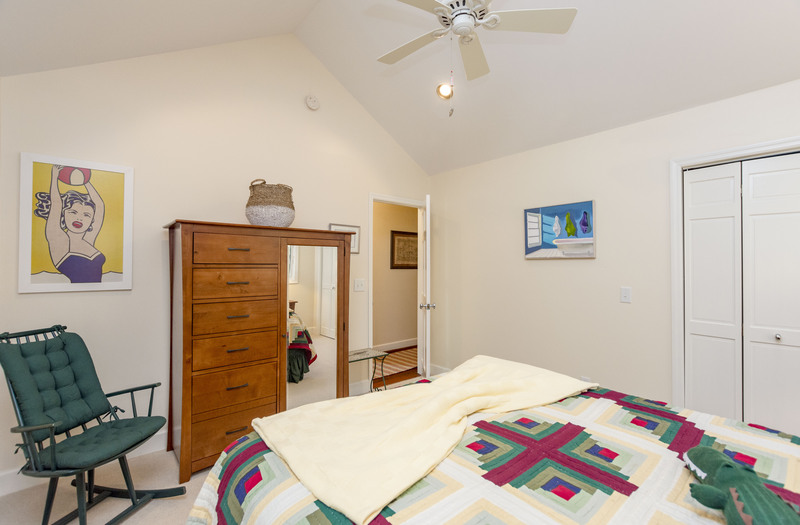 It's bedrooms were very comfortable, as were the three bathrooms. 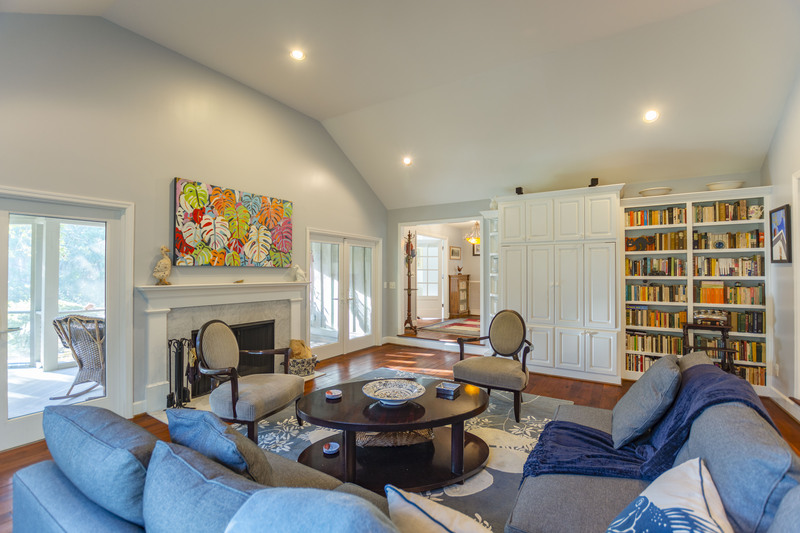 This house, with it's unique artwork, lovely furnishings and impressive library, was perfect for our family getaway. The kitchen was a surprise -- gas stovetop, every pot you could need, beautiful dishes, serving pieces, silverware and glasses. Since we love to eat at home, it was a big plus. We had a delicious lunch at The Ryder Cup Grille which had spectacular ocean and golf course views. We also enjoyed riding the bike paths to both ends of the island seeing alligators, egrets, cranes, deer, a raccoon, and many birds. 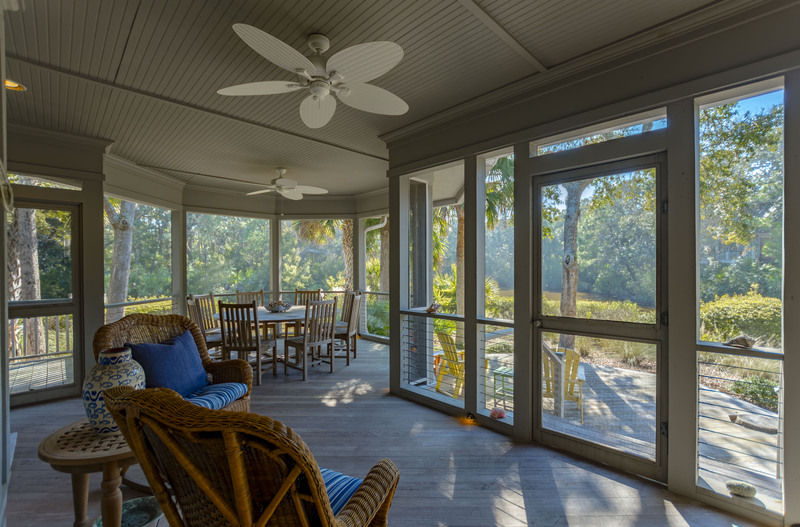 And, we were very content sitting on the screened porch overlooking the lagoon with our own personal alligator. 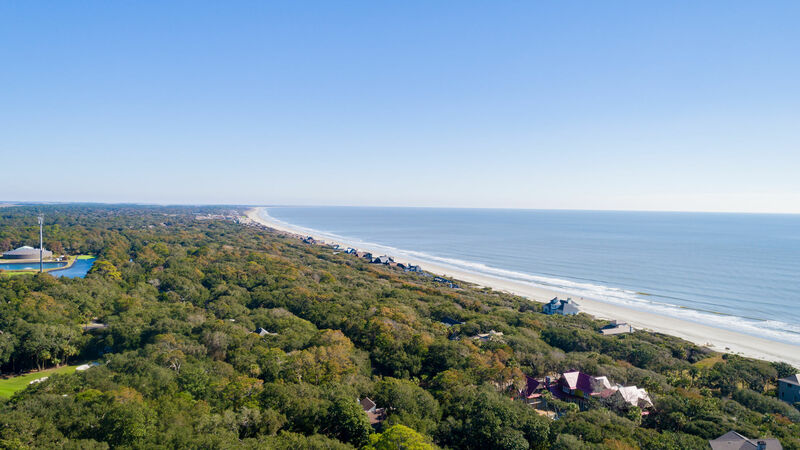 It was a perfect Memorial Day weekend in Kiawah. We really enjoyed our stay the house was everything we wanted. We were close to the beach and the shopping center. there were restaurants near. 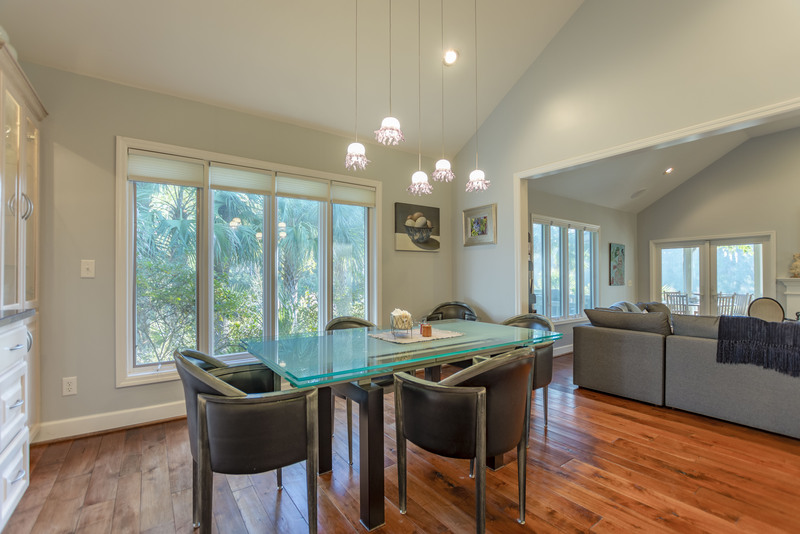 The management provide excellent services and our plans are to go back again and we would love the same house. We had a wonderful stay. 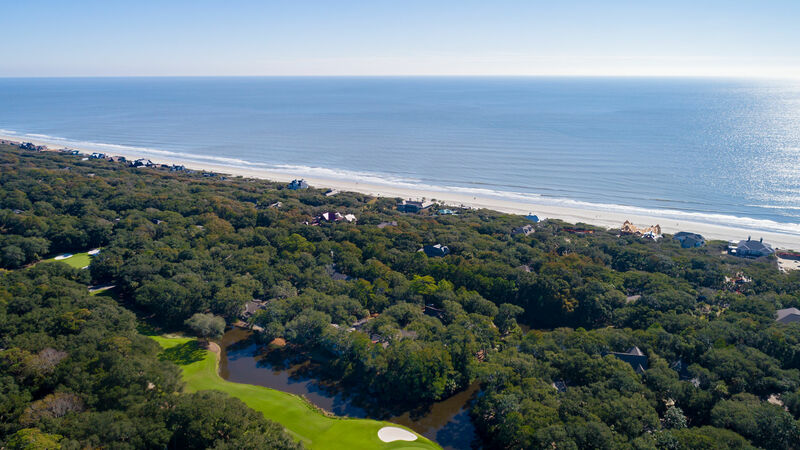 This was our third time to vacation in Kiawah Island and this was our favorite place we have stayed so far. It was convenient to the beach and yet felt secluded. The attention to detail in the things made available for your stay was far greater than what we had come to expect. 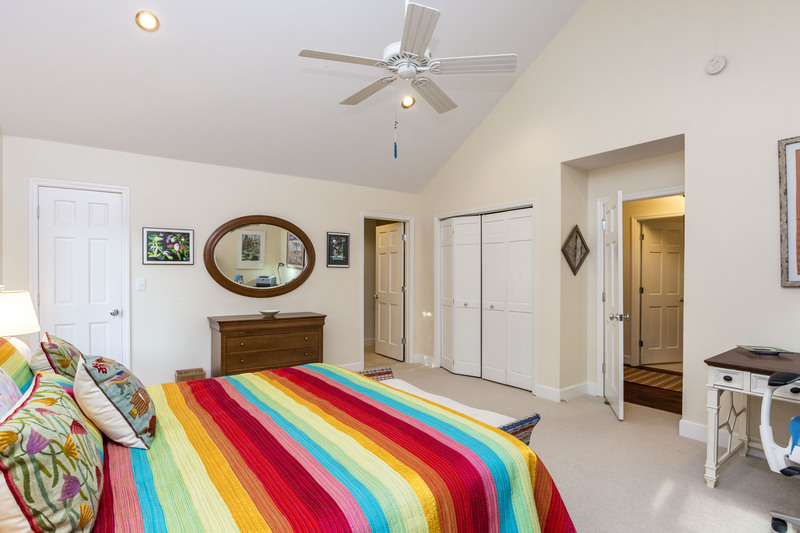 The house was very clean, roomy and comfortable. The kitchen was by far the best equipped of any place we have stayed and the gas grill was so new and clean that I had to work hard to try to leave it as clean as when we arrived. There were no reviews yet when we booked so we were going just by the descriptions and we were not disappointed. 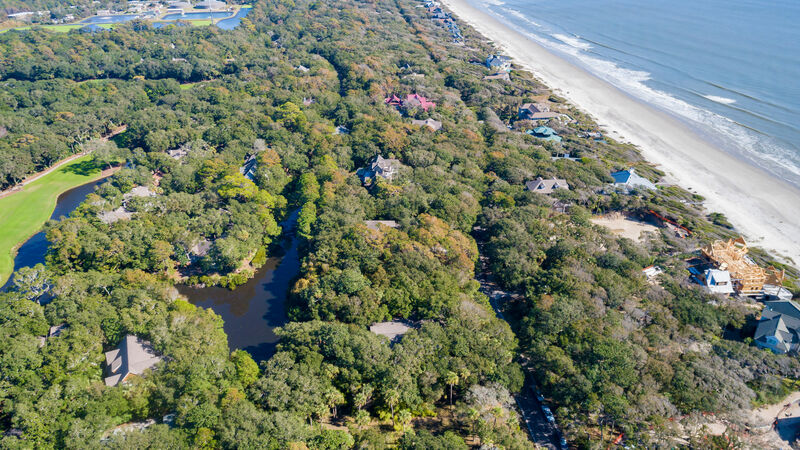 We will look for this property again the next time we go to Kiawah. 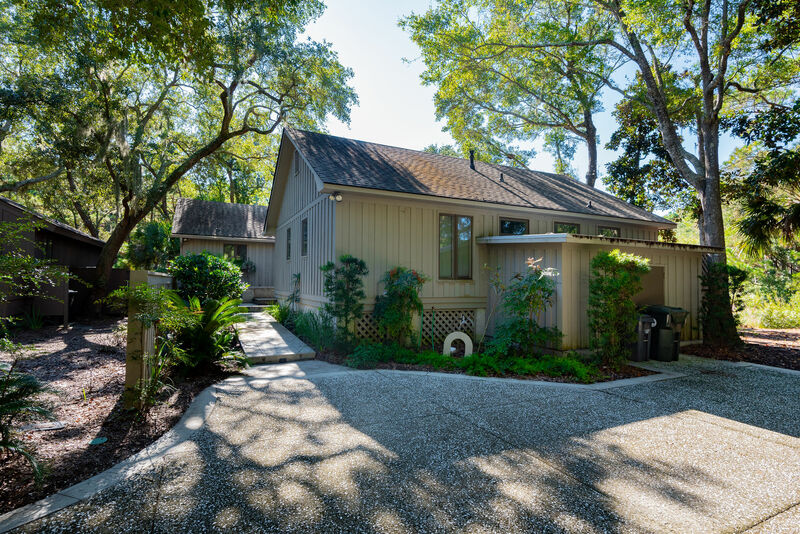 This home, located at the end of a cul-de-sac in a quiet residential neighborhood close to the beach, was just the right place for us (retired couple.) It is loaded with charm -- filled with interesting art and hundreds of books. 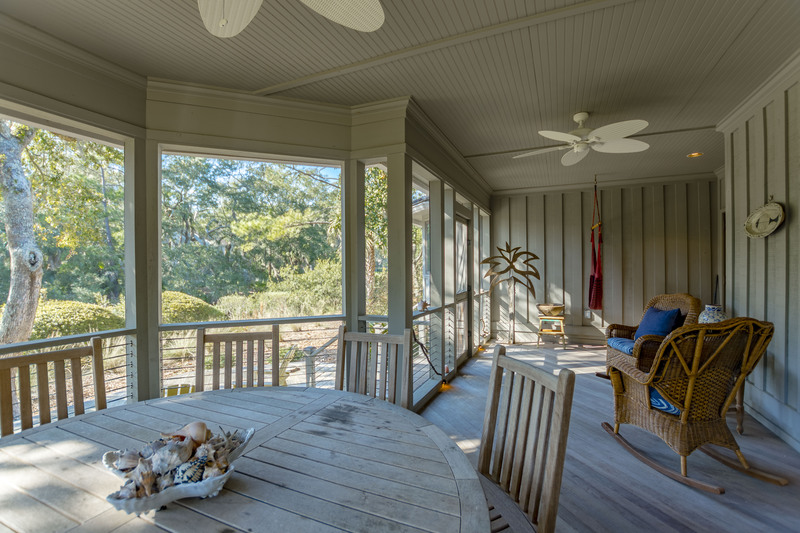 The huge screened porch looks out toward a lagoon. 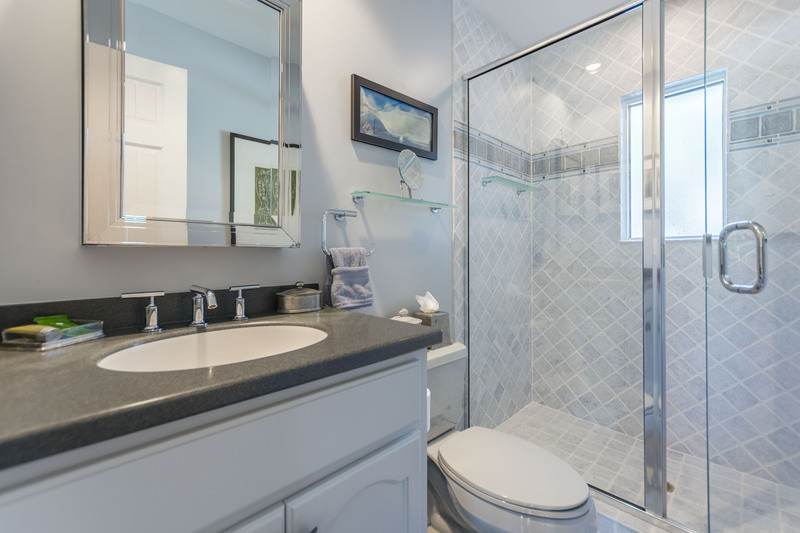 Everything is up-to-date, including kitchen, baths, and technology. There is only one TV, and no access to a pool, so maybe not the best choice for folks with kids. 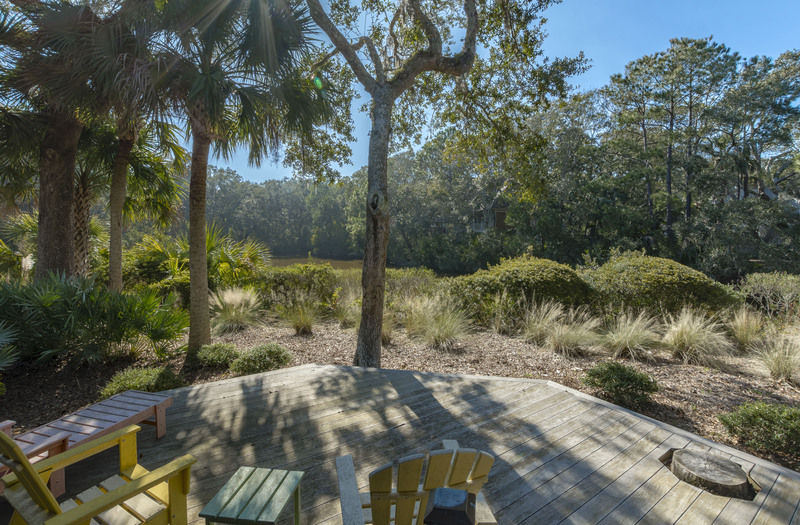 One suggestion: the view of the lagoon is obstructed by vegetation along the water's edge -- if the by-laws permit it, clearing a couple of "view windows" would improve sight lines to the wonderful wildlife inhabiting the pond.